Could the Sun’s long-lost relatives help us find life elsewhere in the Universe? It is believed that the Sun has a few thousand solar siblings, any of which could host living organisms similar to those found on Earth. A team of scientists recently searched through data from several ESO telescopes as well as ESA’s Gaia mission to find one such sibling. Vardan Adibekyan, who led the research, tells us more about what we can learn from these special stars, including why they are a good place to search for life. An image of the Sun from the ESA/NASA Sun-watcher, SOHO. Q. First of all, what is a solar sibling and why should we study them? A. It is generally accepted that most stars are born when clouds of dust and gas condense to form stellar clusters. We believe that the Sun was formed in one such cluster about 4.5 billion years ago, together with a few thousand other stars known as "solar siblings". As time went by, the Sun's birth cluster disbanded, with its members spreading throughout the Milky Way. Different theoretical models suggest that only a handful of these solar sisters are still in the vicinity of the Sun, which makes locating them very difficult. But finding them would help us understand where in the galaxy — and under which conditions — the Sun formed, as well as how we ended up in our current position. There is also a possibility that life was transported between stars in this cluster, potentially making solar siblings an ideal place to search for life that at least started off the same as life on Earth, even if it may have evolved differently. Q. 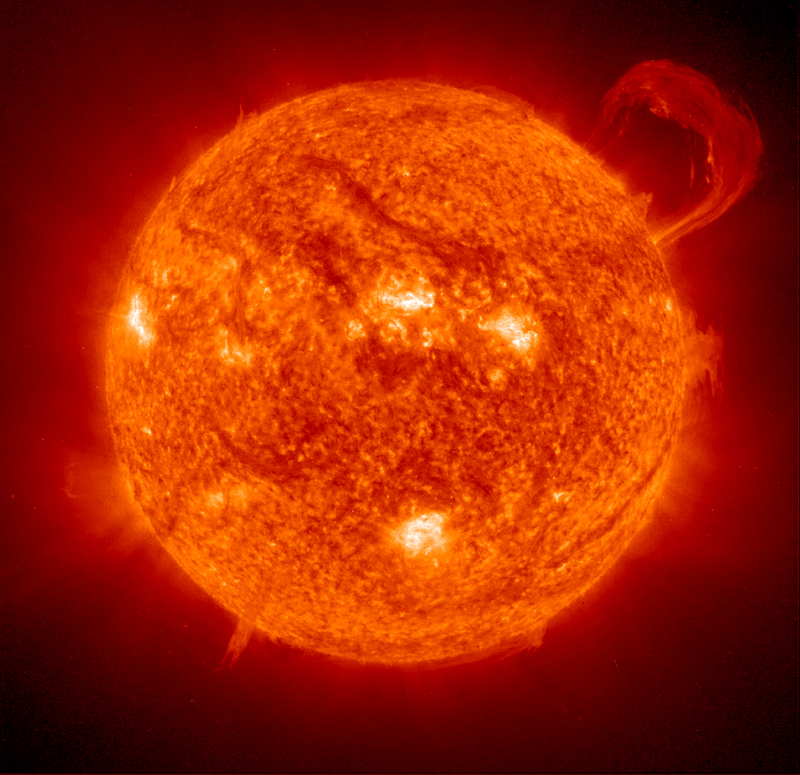 Why is it important to understand where and how the Sun formed? A. We don’t have much direct information about the Sun’s past. We know that a star’s metallicity — the amount of elements other than hydrogen and helium in its atmosphere — should be similar to the metallicity of the cloud from which it was born. But we have observed that the Sun’s metallicity is actually higher than the average metallicity of most nearby stars of a similar age. This peculiarity is usually explained by the hypothesis that the Sun migrated from the inner part of the Milky Way, where the interstellar medium is more metal-rich. At the same time, some of the characteristics of the Solar System suggest that its very early evolution was quite violent, with semi-catastrophic events such as the explosion of a nearby supernova and a close encounter with another star. Finding and characterising solar siblings would help us to better understand the birth and evolution of the Solar System. Finding and characterising solar siblings would help us to better understand the birth and evolution of the Solar System. 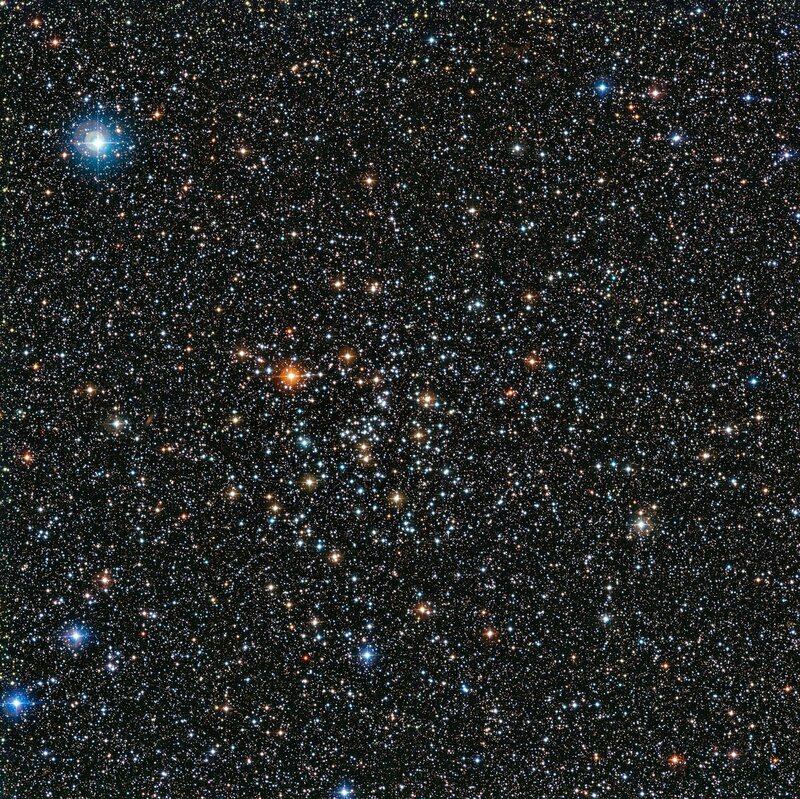 This open cluster is IC 4651, a stellar grouping that lies at in the constellation of Ara (The Altar). The Sun was born in a similar open cluster. Q. There have been searches for solar siblings in the past. What makes your research different? A. A good solar sibling candidate has two characteristics: as it would have formed at the same time as the Sun, it should have the same age, and as it would have formed from the same cloud, it should also have the same chemical make-up. Indeed, several previous attempts have been made to find solar siblings, and in most of these studies, scientists started by searching for stars moving in a way that some models of the galaxy suggest that solar siblings should move. Then they verified whether the chemical composition and age of the candidate siblings were similar to those of the Sun. But the results are limited because of the dependence on the models used. In 2014, I took a different approach to searching for solar siblings, in collaboration with others including Sérgio Batista, a Master’s student at Instituto de Astrofísica e Ciências do Espaço (IA) in Portugal, which is the institute I also work for. For that research, we selected a sample of 1111 stars in the solar vicinity, all previously observed with the HARPS spectrograph on the ESO 3.6-metre telescope. We preselected stars with chemical compositions that best match the Sun’s composition, then we estimated their ages and finally, we studied their motions. But the sample of stars was too small, and the number of chemical elements we could study was limited, so we had to try something else. 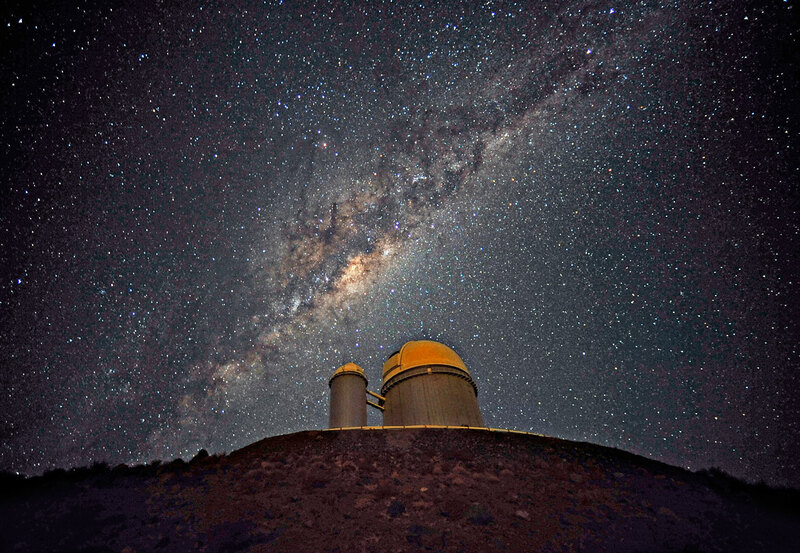 The ESO 3.6-metre telescope, home to the HARPS (High Accuracy Radial velocity Planet Searcher) instrument. 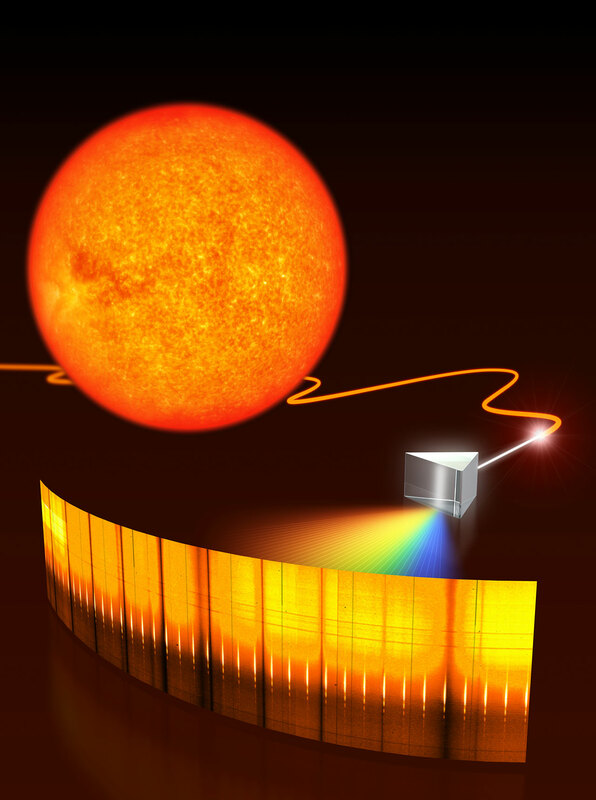 A spectrometer splits up light from a star into a spectrum, which can tell us about its chemical composition. Q. So what did you do next? A. I decided to undertake a much larger search with the help of Patrick de Laverny and Alejandra Recio-Blanco from the Côte d'Azur Observatory in France. They were working on a project called AMBRE to create a very large database of light spectra from local stars. A spectrum can tell us a huge amount about a star’s chemical composition. The AMBRE database contains lots of archival data from many different instruments, including ESO’s FEROS, HARPS, UVES and GIRAFFE. In total, the database consists of about 230 000 spectra, corresponding to 17 000 stars, all of which have been carefully analysed. From the database, we selected 55 stars with a metallicity similar to that of the Sun for further investigation, and we found that 12 of these are actually chemically identical to the Sun. We combined this information with data about the positions and motions of these stars from ESA’s Gaia mission which enabled us to calculate precise ages for the most interesting stars. We found one really good candidate for a solar sibling: HD186302. Like the Sun, this is a G-type main sequence star, identical to the Sun in age and composition. Its other physical properties are also very similar to the Sun’s, making it not just a solar sibling, but also a solar twin. Q. Why is it particularly exciting that HD186302 is also a solar twin? A. The term "solar sibling" is often confused with "solar twin". Solar twins are stars that have similar physical properties — such as temperature, metallicity and surface gravity — to the Sun, but they didn’t necessarily form in the same cluster. Solar siblings, on the other hand, always form in the same cluster but apart from their metallicity, don’t necessarily match the Sun’s physical characteristics. As the saying goes, we got "two birds with one stone". The search and study of solar twins is an important subject in itself, because the comparison of properties of such stars with those of our Sun helps to understand how typical or unique the Sun is. And perhaps it’s reasonable to say that a star with similar characteristics to the Sun would be more likely to support life than one with very different characteristics — who knows! Its other physical properties are also very similar to the Sun’s, making it not just a solar sibling, but also a solar twin. Q. Tell us more about why solar siblings are good candidates to search for life elsewhere in the Universe. A. The somewhat speculative hypothesis that biological materials that can spark life can travel through space and settle in new habitats is called panspermia. In particular, the transfer of life between exoplanet systems is called interstellar lithopanspermia. Thus, solar siblings can be good candidates to search for life, since it is possible that life was transported between planets around stars in the Sun’s birth cluster. It is possible that life was transported between planets around stars in the Sun’s birth cluster. There was a violent period in the history of the Solar System called the Late Heavy Bombardment, during which many asteroids are thought to have collided with the inner, rocky planets, sending material flying into space. Some calculations show that there is a tiny probability that life spread from Earth to other planets or exoplanet systems during this period. If we are lucky, and our sibling candidate has a planet, and the planet is a rocky one, in the star’s habitable zone, and finally if we are extremely lucky and this planet has been “contaminated” by seeds of life from Earth (or vice versa!)... voilá: we have an Earth 2.0, orbiting a Sun 2.0. 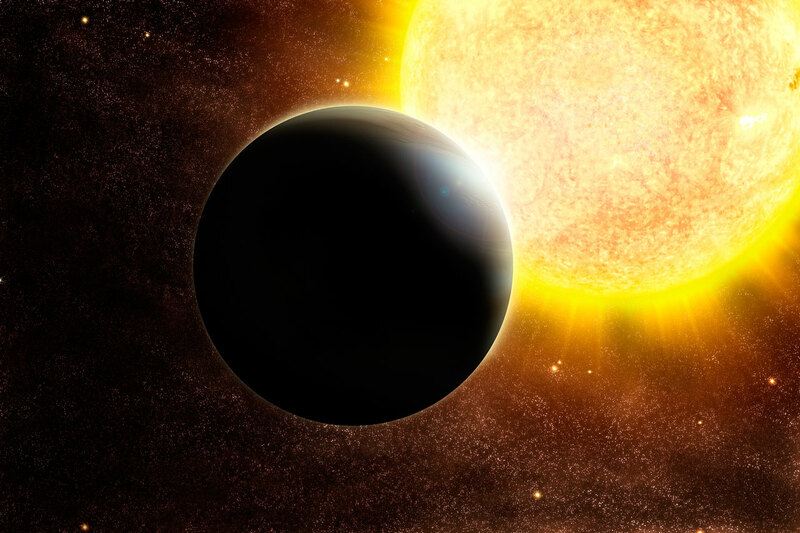 Artist’s impression of an exoplanet. Q. And will you try to find planets around this star? A. Absolutely! Unfortunately, the ESO archive has very few spectra of this star, so at the moment we don’t have enough information to investigate whether there are planets orbiting it. But our team at IA plans to start a campaign to search for possible planets using HARPS and the ESPRESSO instrument on the Very Large Telescope. Not only is there the potential to find life, but finding and characterising planetary systems around solar siblings could return very important information about planet formation in a common environment. 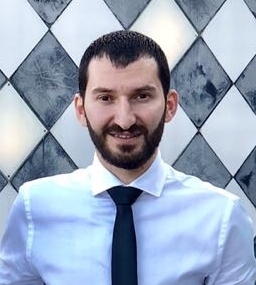 Vardan graduated from the Yerevan State University (YSU) in 2006 and completed his PhD in 2009. From 2009 to 2011 he lectured as an assistant professor at YSU, while at the same time working at Byurakan Astrophysical Observatory as a research associate. Nowadays he is a FCT-investigador researcher at the Instituto de Astrofísica e Ciências do Espaço (IA) in Portugal. Vardan’s PhD focused on extragalactic objects, but after moving to IA, he smoothly changed his main scientific orientation to nearby galactic objects. He now uses his knowledge on extragalactic astronomy to apply new methodologies to exoplanetology and galactic archaeology.